The EU Water Framework Directive aims to bring all waterbodies to ‘good ecological status’. The Directive introduces a simpler approach to managing the water environment which will result in greater protection for a vital part of our world. The Environment Agency is the competent authority for delivering the Directive. The EU Water Framework Directive became part of UK law in 2013. Essentially it is a commitment to bring all waterbodies to ‘good ecological status’, which means that all our rivers, streams and lakes should be healthy functioning ecosystems. To get there will take planning and a collaborative effort. Where it is not possible to reach ‘good ecological status’ by 2015; a River Basin Management Plan must show how this will be achieved later. A series of River Basin Management Plans outline work needed to bring water bodies to ‘good ecological status’ in six year cycles. 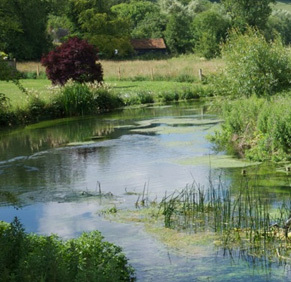 The first cycle stated in 2009; the next Thames River Basin Management plan will be published in 2015 and will include the actions identified in our Kennet Catchment Plan. Download the whole Thames River Basin Management Plan here. You can read an introduction to the Water Framework Directive here.